Life with Lynnie: Important Information! Today, here on Life with Lynnie (LwL), I'll let you know about what I did last Thursday, February 1, 2018. Since it was the first (1st) Thursday of the month, I went to a meeting at 6:30 pm. Where did I go? To the Injured Workers meeting! We didn't have speaker for this meeting. And, we didn't have everyone from the group attend. However, those of us who attended the injured workers meeting, all discussed some issues. Some of which you'll find out about in the future. However, something was given to us. Here's a photo of what it was! 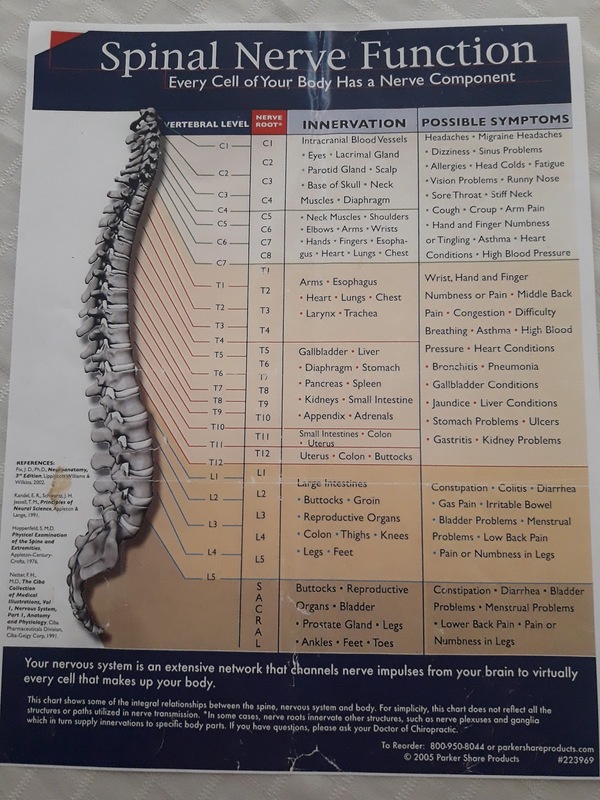 Spinal Nerve Function information was truly a good thing to have. Especially, since each of us who attended the meeting also know other injured workers who have also suffered affliction. Thinking about afflictions made me think of, Psalm 34:19, "Many are the afflictions of the righteous: but the Lord delivereth him out of them all." Amen! Even though not everyone who has become an injured worker, is righteous, God has told us that even us who are righteous, can become afflicted with injury. We are righteous when we belong to God. And, He will deliver us out of the affliction... in His time. Either here on earth, or later as we spend eternity in Heaven with Him. How does this happen? It's when we gain salvation by trusting in/believing upon our Lord, Jesus Christ. If you have, then I know we will spend eternity in Heaven, with Him! And, we'll no longer have pain, or suffering.